Task Orders: We support the Navy and Marine Corps in the execution of their overall organizational functions and the specific missions of the individual activities and ordering offices. To ensure we meet our performance commitments, GISi has created a Delivery Management function within the company. This function includes people, processes, and technology that are designed to make sure that our customers receive outstanding value. This section will describe that function, addressing our approach to: manage the team, manage change, maximize quality, guarantee responsiveness, and resolve problems. The Delivery Management function starts with people. There are many stakeholders on each project: customers, partners, and contractors. Additionally, there are many tasks and risks that have the potential to derail a project. To manage this effort, every project that we execute is assigned a Delivery Manager (DM) from GISi. Job qualifications for delivery management include certification as a Project Management Professional (PMP) from the Project Management Institute (PMI). The DM is responsible for coordination of the project from start to completion. He/she will facilitate all of the processes outlined below. The DM is an advocate and point-of-contact for the Navy. Closing phase: implementation and wrap-up activities. This phase typically occurs prior to the start of a contract being awarded in a competitive (bid) situation. When the project occurs in a partnership or ongoing relationship, it is jointly executed with the customer. The primary goal of this phase is to determine project feasibility and make go/no-go decisions. Preliminary scope, costs, schedules, benefits, and risks are developed. This information is fed into the client”s specific approval mechanism and a determination on whether to proceed is made. 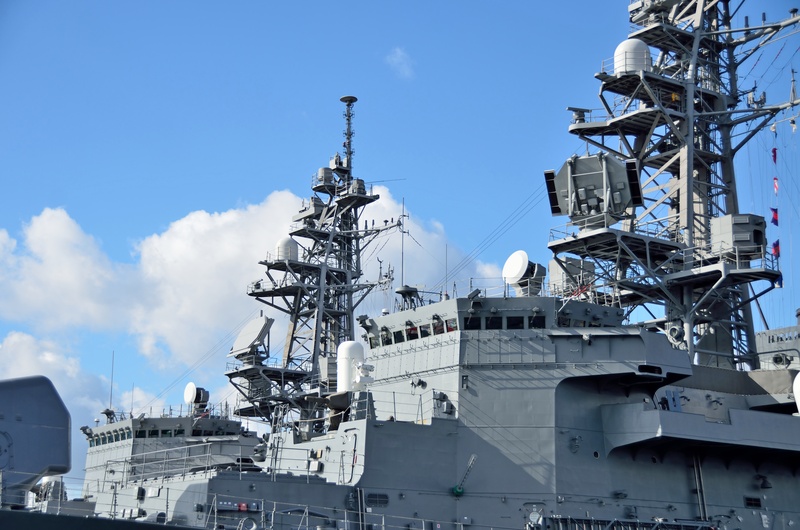 In the case of Navy solicitation via Seaport-E, the Navy has made their own determination on proceeding and our team”s efforts would be in the preparation of a proposal for a solicitation. This phase typically occurs once a project has been awarded to our team. The primary purpose of this phase is to start the project correctly and minimize risk in the executing phases by performing proper planning. All projects begin with a Project kickoff event. During this event, the Delivery manager will facilitate a review of project roles, communication and scope. The next step is to begin detailed requirements analysis and identification. A functional requirements document is the typical deliverable and is signed off by the appropriate project authority. The requirements document is then used to finalize the project schedule and a detailed project execution plan. The purpose of the executing phase is to build and deliver the solution. The specific steps may vary depending on the methodology that best suits the need of the project. Our team has expertise in a number of both sequential and spiral methodologies. In general, there are four stages that occur during the Executing phase: Design, Development, Testing/Quality Assurance, and Implementation. During the Design stage, the functional requirements are translated into conceptual and detailed designs. These designs are approved by the appropriate project authority. Test plans are also created that will validate the design and execution of the solution. If the project is a software development project, Unified Modeling Language (UML) is used to develop use cases and technical design documentation. During the Development stage, the solution is developed and modularly tested. The particular technologies and tools for the solution are dependant on the nature of the project. Best practices for software development are followed, including code documentation, modularity, and naming conventions. During the Testing and Quality Assurance stage, the solution is validated against the functional specifications and test plans developed in the Design stage. System level testing, integration testing, and user acceptance testing occurs here. At the end of this stage, the solution has been validated and accepted as meeting the requirements. During the Implementation stage, the solution is installed and adopted by the customer. Preparation for this stage begins at the start of this project as part of the design and controlling activities. Actual installation or delivery of the solution occurs based on each customer”s specific environment. Training and review of the User Guide and solution documentation follows. Our goal for every project is to transfer the knowledge and documentation of the solution to the customer so they can be self-sufficient if desired. The purpose of the Closing Phase is to complete the project to the customer”s satisfaction and incorporate continuous improvement into our processes. This is where learning occurs. It is an often overlooked step, but our team views it as critical to providing quality services. Activities consist of gathering two sets of feedback – external and internal and incorporating it into our project processes. External feedback from the customer is gathered via the use of an internet-based project feedback form. If the project is sufficiently complex, an interview by an independent source may be performed. Internal feedback is gathered when the Delivery Manager facilitates a Lessons Learned review. During this process, participants on the process review and discuss the activities that went well and that need to be improved upon during the next project. Status reporting: reporting progress of the project to the customer and to our internal project review committees. Project status is reviewed by the management of the company on a weekly basis. Project reporting (content and frequency) for the customer is determined by the customer. Typically a weekly or monthly status report is produced and project review meetings are held to discuss status and issue resolution. Change control: review of any changes to the project (scope, cost, schedule) and working jointly to decide on the course of action. If a change is material, a change impact document is prepared to support the customer in making an informed decision on what to do with the change. Quality control: monitoring the quality process (design reviews, test plans, etc.) to ensure the quality standards of the project are met. Risk control: identifying risk (likelihood, impact, and mitigation) to minimize the potential for negative consequences from risks. The project phases and processes described above facilitate the level of communication and interaction required to manage a project for maximum quality. They permit our team to be disciplined while still flexible and responsive.